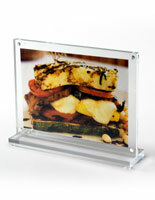 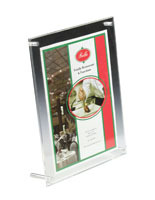 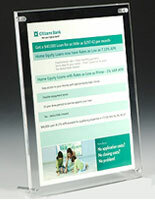 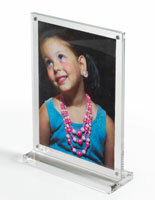 Tabletop print frames have a simple design that makes sign changes easy. 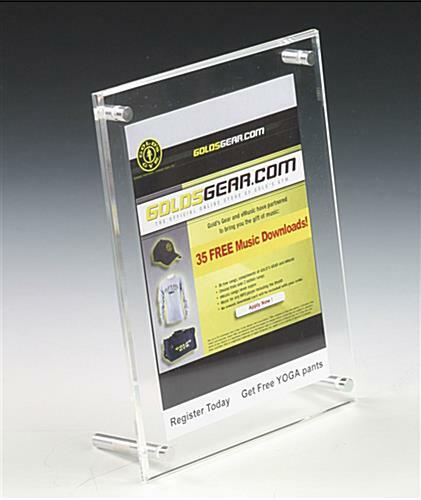 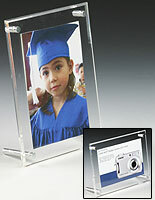 Photo holders present 5" x 7" graphics to clients, guests or other visitors. 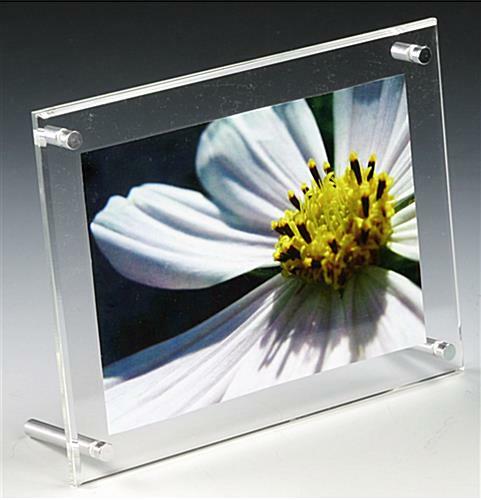 Print frames for vertical or horizontal orientation, commonly called picture displays, are constructed from two acrylic panels and each measures 1/8" thick. 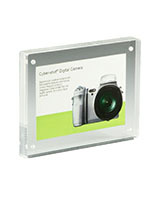 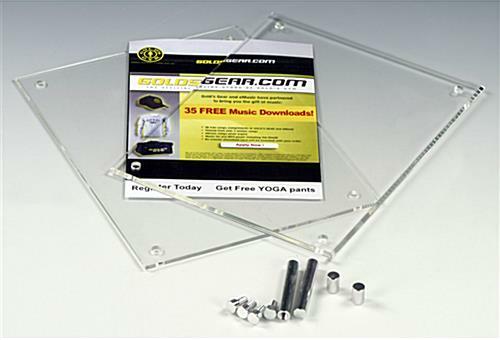 Photo holders come with four metal binding screws hold the image in between these two clear panels tightly. 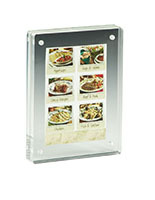 Frames are outstanding decorating solutions for both home buyers and commercial customers. 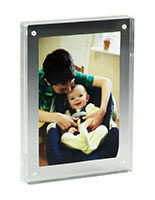 Picture displays can be used to showcase family photos, postcards and promotional signs.